Exactly two weeks after we reported that Attorney General Jeff Sessions instructed DOJ prosecutors to dig into the FBI's handling of the Uranium One investigation, we learn that the FBI has opened a new investigation of the Clinton Foundation launched by the DOJ - spearheaded by its Little Rock, Arkansas field office, according to John Solomon of The Hill. The probe will focus on pay-for-play schemes and tax code violations, according to law enforcement officials and a witness who wishes to remain anonymous. The witness who was interviewed by Little Rock FBI agents said that questions focused on "government decisions and discussions of donations to Clinton entities during the time Hillary Clinton led President Obama's State Department," and that the agents were "extremely professional and unquestionably thorough." Also of note, as tweeted by WikiLeaks and reported by the Dallas Observer, the Clinton Foundation has been under investigation by the IRS since July, 2016 after 64 GOP members of congress received letters urging them to push for an investigation. 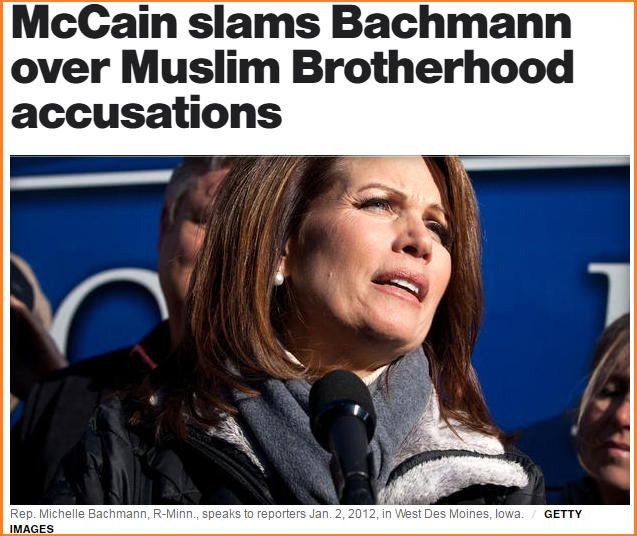 The investigation is being handled by their Dallas office - far away from Washington insiders. 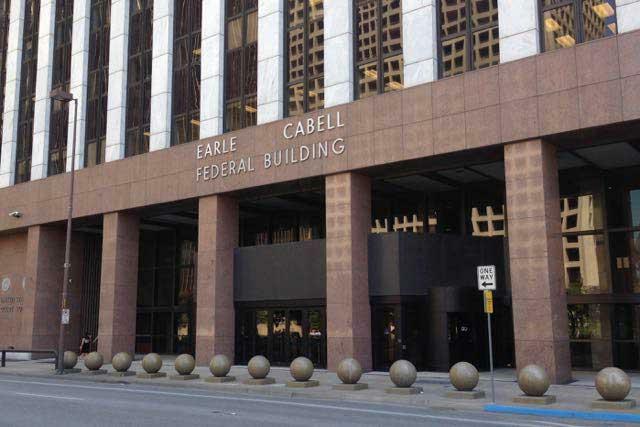 The Earle Cabell Federal Building in downtown Dallas is an all purpose office complex, a bastion of federal bureaucracy located at 1100 Commerce St. 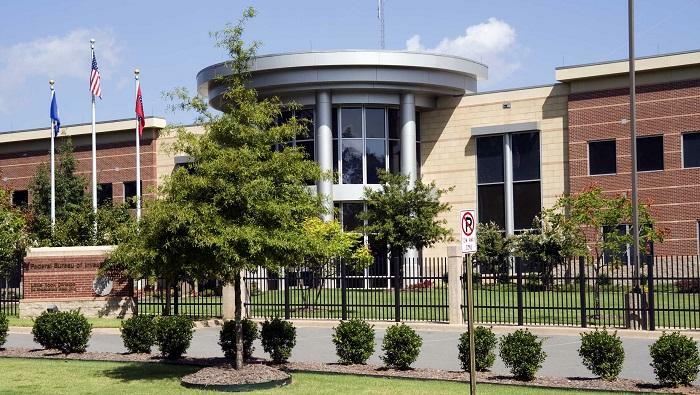 Most people come for a passport or to get business done in front of a federal judge. But inside, a quiet review is underway that has direct ties to the raging presidential election: The local branch of the IRS' Tax Exempt and Government Entities Division is reviewing the tax status of the Bill, Hillary and Chelsea Clinton Foundation. A spokesman for both Hillary Clinton and the Clinton Foundation did not return The Hill's calls or emails seeking comments, however they have previously maintained that the Clintons never traded government policy decisions for donations - calling recent focus on the issue a "conservative distraction" from President Trump's Russia probe. 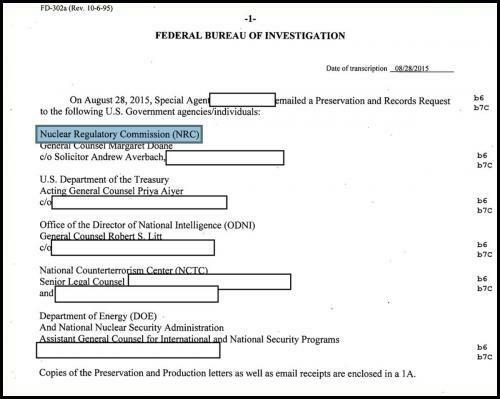 Of primary interest to the FBI is likely the Uranium One deal, which would grant the Kremlin control over 20 percent of America’s uranium supply, as detailed by author Peter Schweitzer’s book Clinton Cash and the New York Times in 2015. The scheme allowed Russia to buy its way into the U.S. atomic energy business using the same Clinton Foundation pay-for-play relationship used by 16 countries, including Saudi Arabia – which received a 143% increase in weapons sales over the previous administration after donating to the foundation. Between 2008 – 2010, parties involved with Uranium One donated $145 Million to the Clinton Foundation. You can read more about the parties here. June 2010, Rosatom takes majority (51%) ownership of Uranium One, granting the Kremlin control over 20 percent of U.S. uranium – which Hillary Clinton’s State Department signed off on. The FBI uncovers massive bribery scheme before the Committee on Foreign Investment in the United States (CFIUS) approves deal. June 29th, 2010, Bill Clinton meets with Vladimir Putin at his home in Russia. Later that day Clinton earns $500,000 for a Moscow speech to Kremlin-linked investment bank Renaissance Capital, which assigned a “buy” rating to Uranium One stock. January 2013, Rosatom State Nuclear Agency acquires the remainder of Uranium one and takes it private. Also of interest in relation to the Uranium One deal is the fact that weeks after the FBI probe into Hillary Clinton's email began, the FBI issued notices to every agency in the CFIUS to preserve records, as discovered by Twitter researcher Katica while looking at FOIA-requested documents. The agencies which received the request included the Nuclear Regulatory Commission, the U.S. Dept. of Treasury, the Office of Director of National Intelligence (ODNI James Clapper), The National Counter Terrorism Center, and the U.S. Department of Energy (DOE). At this point, every single member of the Committee on Foreign Investment in the United States (CFIUS) which signed off on the Uranium One deal was served with a notice to preserve records. 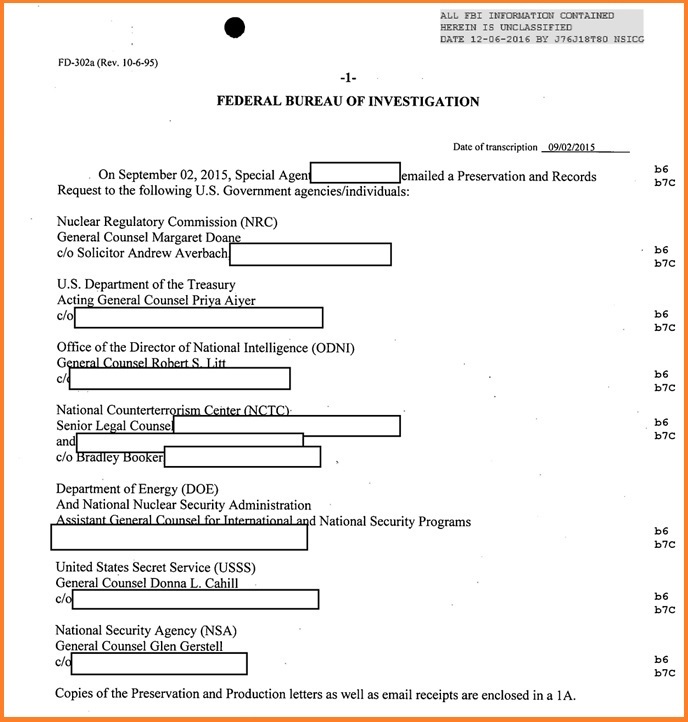 Another report by The Hill from November reveals that an undercover FBI informant in the Russian nuclear industry who was made to sign an “illegal NDA” by former AG Loretta Lynch, claims to have video evidence showing Russian agents with briefcases full of bribe money related to the controversial Uranium One deal – according to The Hill investigative journalist John Solomon and Circa‘s Sara Carter. 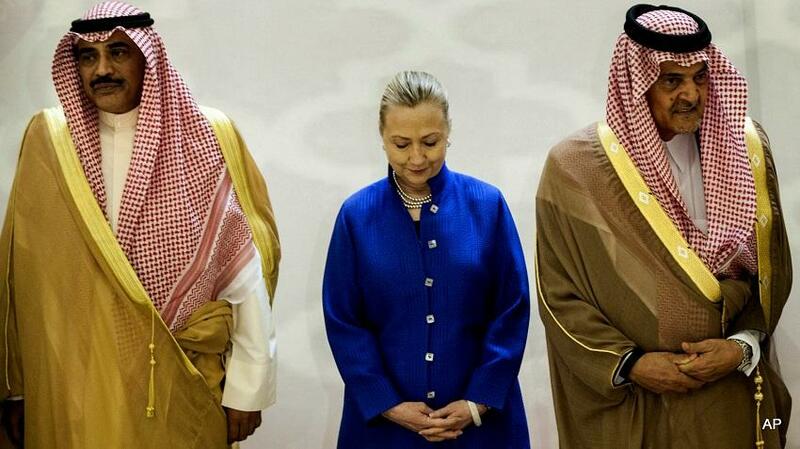 WikiLeaks also revealed that the house of Saud heavily contributed to the Clinton Foundation, and reports surfaced that they funded 20% of Clinton's campaign. Indeed, it appears that the Saudis - the old "pre-crackdown" Saudis of course, who wouldn't let women drive cars, were hoping for a significant return on their investment under a Hillary Clinton White House with John Podesta ostensibly in the Secretary of State role - similar to the 143% increase in weapons sales granted to the Kingdom and other Clinton-foundation friendly governments while Hillary Clinton was Secretary of State. It's clear they had a lot riding on Hillary, some say in the hopes of co-opting the US military into an intervention in Syria to topple President Bashar al-Assad. 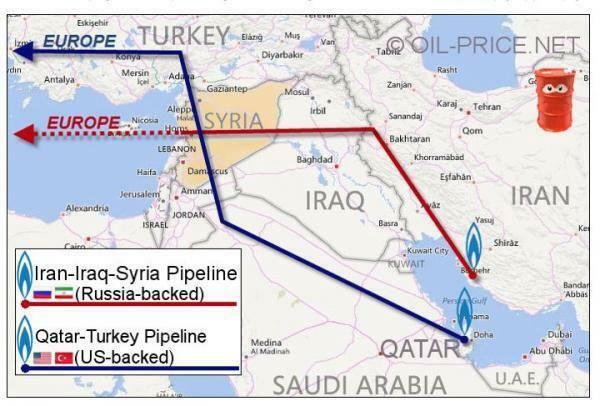 The plan was regime change - with the goal of installing yet another Western friendly puppet government which would rubber-stamp a lucrative Saudi/Qatar pipeline through the country, exiting into the Mediterranean through Turkey - as opposed to a competing Russian / Iranian / Syrian pipeline. Moreover, WikiLeaks exposed the fact that Saudi Arabia and Qatar funded ISIS - which then invaded Syria in an effort to co-opt the Arab spring and topple Assad. Recall that Hillary's plan was to join ISIS in this fight, starting with the institution of a "no fly" zone which would have put the United States in direct conflict with Russia. With all that said, and there is much more (to scrape the surface read "Clinton Foundation Is Charity Fraud Of Epic Proportions", Analyst Charges In Stunning Takedown", it appears that the FBI should have its hands full re-investigating the Clinton Foundation. Perhaps Attorney General Sessions will even ensure that Clinton loyalists within the organization aren't responsible for things such as; reaching conclusions, recommending charges, closing investigations and changing language which would exonerate otherwise very illegal behavior.